In September, President Obama came under withering criticism in Washington for not punishing Assad after crossing his “red line” on chemical weapons. By October, even Riyadh had joined those in the State Department, the White House and Congress who, according to US press reports, saw Mr. Obama as “aloof” and “indecisive” on Syria. While Mr. Obama’s refusal to arm the more democratic and secular rebel forces has indeed permitted Assad to retrench–increasing the humanitarian disaster as well as the ability of jihadi forces to insinuate themselves into the conflict– nonetheless, imagining this is due to presidential indecision ignores the realpolitik driving his policy. 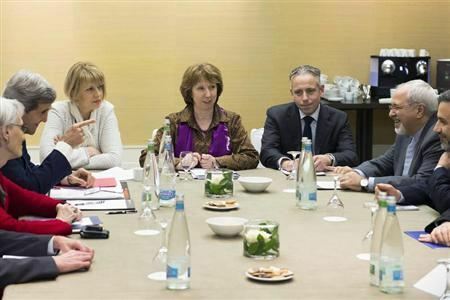 Consider first: What if forceful US action in Syria had scuttled any talks with Iran, or, for that matter, if the present negotiations in Geneva between the P5+1 and Iran end up in failure? If we take seriously most assessments of Iran’s progress in nuclear matters, President Obama would soon be forced to either strike Iran’s nuclear sites—possibly sparking yet another protracted US Gulf war—or accept Tehran’s acquisition of the capacity to build nuclear devices and, along with this, a major geopolitical shift in the region. Mr. Obama has remained keenly focused on this dilemma throughout his presidency. In his first term, after an attempt at dialogue with Tehran failed, he invested the great bulk of available US diplomatic capital in building an international coalition to impose unprecedented sanctions on Iran. Looking back, very few had believed Obama could ever get both China and Russia on board, not to mention Germany’s Mrs. Merkel and her EU colleagues. Obama and his foreign policy team also succeeded in deflating the bellicose objections of Mr. Netanyahu, and won the cooperation of the Saudi Royals in holding oil prices at reasonable levels as Iranian oil exports dwindled. These accomplishments reflect a single-minded preoccupation with forcing Iran into negotiations. But, would it be reasonable for Mr. Obama to conclude that any chance for such negotiations would have been scuttled had he acted forcefully in Syria? Looking beyond worries about who to arm among the rebel forces, any determined US aid to Syrian rebels or bombing would hit hard at Iran’s only Arab ally and likely move Tehran to up its direct support to Assad’s forces. It is also not inconceivable for US bombing to cause casualties among Iranian personnel supplying and advising Assad’s forces. In any case, such action would have made it very difficult for any Iranian leader to open to a negotiated settlement with the US—as President Rouhani now has. What is more, US intervention in Syria would hit at Russian interests there. While Mr. Putin could do little directly to thwart any forceful US intervention, he could nonetheless end Russian support for sanctions against Iran. The requirement for Russian support to maintain effective sanctions on Iran cannot be underestimated. If Putin chose to facilitate the export of Iranian oil, sanctions would be finished, as would Mr. Obama’s hard-won leverage for inducing Iran to negotiate. Looked at not from the humanitarian point of view, but from a coldly calculated, strategic-interests point of view, the abandonment of a nation embroiled in a mainly internal conflict (i.e., Syria) to avoid launching a more general regional war (i.e., with Iran) is something international affairs theorists would more likely term “a rational policy decision” than presidential “indecision”. 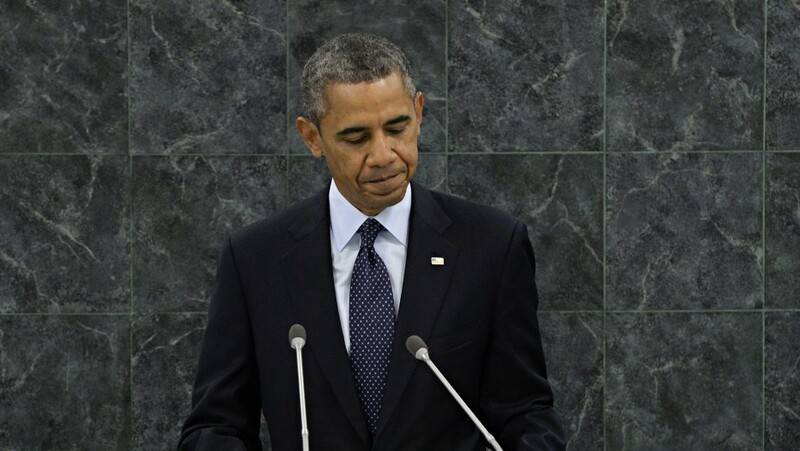 From Mr. Obama’s perspective, there are realpolitik reasons to prioritize Iran negotiations. First, American officials have made it very clear they see Iran’s nuclear program is approaching a level of technical sophistication where Tehran would have the capacity to “break ut” and rapidly build a nuclear device should it choose to do so. And both Obama and Israel’s Netanyahu have sworn this capability, in-and-of-itself, would constitute a “red line” triggering an attack on Iranian facilities,–which would once again bring havoc to the entire energy-rich Gulf region. This sort of realpolitik calculus would appear to explain President Obama’s having prioritized pursuit of an Iran deal over Syrian intervention. The priority of “ensuring the free flow of energy” from the Gulf to the global-barrel marketplace has long been a pillar of US legitimacy as the dominant global power. After the debacle of Washington’s Iraq war launched by Bush–which itself so disrupted both the region and energy markets and hence US credibility—Obama has clearly placed the highest priority on removing the Iranian nuclear threat without launching yet another Gulf war. Indeed, his efforts have brought the confrontation closer to a negotiated settlement than anyone else has since the Congress began imposing nuclear sanctions on Iran in 1995, when Clinton was president. Mr. Obama’s message here—direct to the world via the UN General Assembly—is clear: While America has various “interests” in the Mideast, its “core interests” there trump mere “interests.” President Obama has not dithered on Syria. Rather, he has persevered in his realpolitik calculus about US core interests in the region–which have long focused on the flow of the region’s oil to the global market (AKA, the Global Barrel). One may or may not agree with his prioritization; however, he makes it perfectly clear what it is. Any meaningful critique should begin from this point. This entry was posted in Euroepen Union, Germany, international relations, Iran nuclear, Iran sanctions, negotiations, Obama, Oil supply, P5+1, Persian Gulf, Rouhani, Sanctions, Saudi Arabia, The USA and tagged Obama, President Obama. Bookmark the permalink.